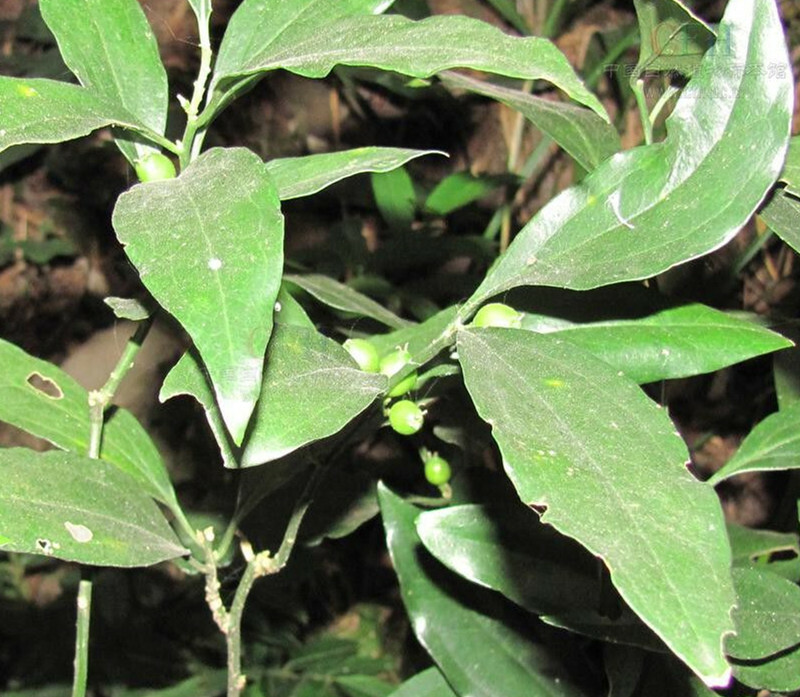 The drug is the dried or fresh whole herb of Sarcococca longipetiolata M. Cheng (Family Buxaceae), growing along the bank of ravines, in forests, and distributed in Hunan, Guangdong and Guangxi of China. Bitter, astringent, slightly pungent, cold; lung and liver meridians entered. Cool blood and dissipate nodule, remove toxicity and astringe the wound. Traumatic injury and bleeding, innominate inflammatory swelling, mumps, jaundice.